The BDLF is a clever put-on, a brisk stroll through Borges’s Library of Babel guided by Rose’s fastidious prose and copious literary references, but it is also a clarion for the infinite possibilities of literature. 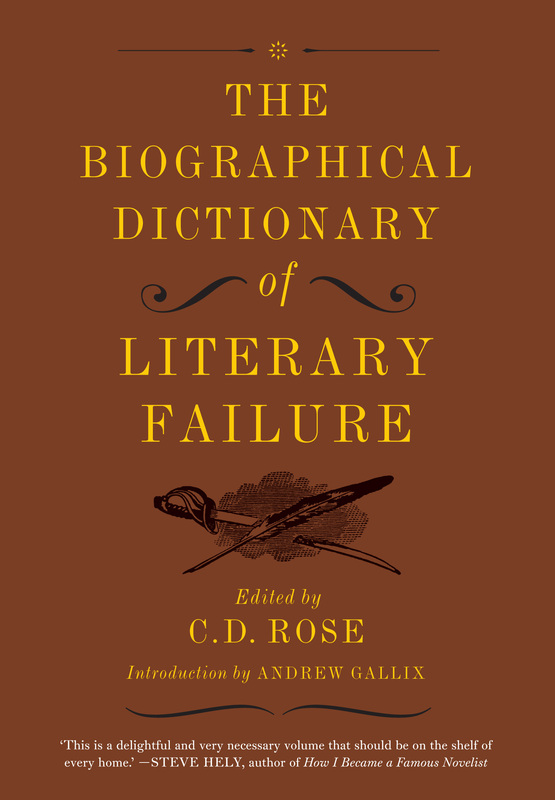 As Andrew Gallix observes in his introduction, “Writing about fictitious or lost works is a means of holding literature in abeyance, of preserving its potentiality.” Rose’s failures are also potential successes, each one a small recognition that the actuality of literature will never equal its potentiality. Reading Ulysses will never quite match the idea of reading Ulysses. And in that sense, all literature, no matter how great, is a glorious failure. This entry was posted in About and tagged andrew gallix, biographical dictionary of literary failure, cd rose, failure magazine, keith watson, review. Bookmark the permalink.